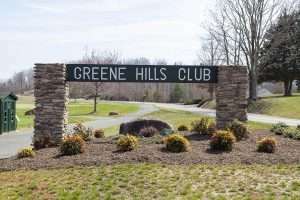 Located in scenic central Virginia, this private Greene County golf club offers a relaxing getaway for both the recreational and the wannabe pro-golfer as well as an exciting outing for the entire family. With eighteen challenging holes on a beautiful, 200+ acre course, you could spend the entire day challenging your friends or beating your personal best. Plus, with a driving range, multiple practice areas and a fully-stocked golf shop, you'll never have to play unprepared.